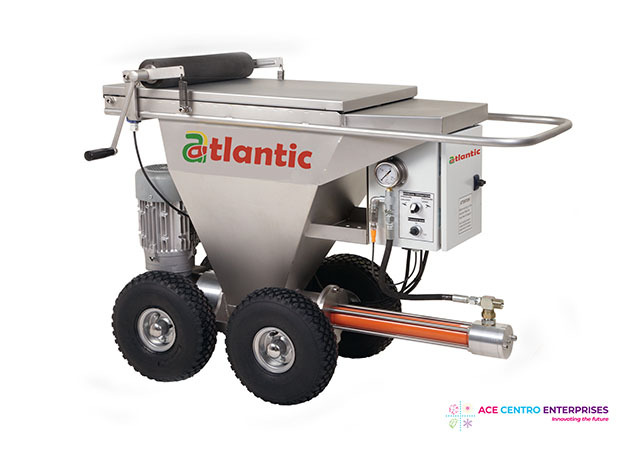 Atlantic Airless High Pressure Plaster Pump has been developed by combination of airless technology and reliable screw pump, constructed entirely from parts that meet the highest quality standards to deliver high performance. Pump Capacity : 0-6 liter/min. Lighter hoses making the work easier. Healthy work environment as there is no misting of material and requires less clean-up. The machine is extraordinarily quiet and simple to operate.